Two distinguished environmental scientists accused the Victorian Government of forestry policies knowingly designed to drive Leadbeater's Possum, one of the two fauna emblems of Victoria, to extinction. Leadbeater's Possum is listed as Endangered on the IUCN Redlist and under the Federal Environment Protection & Biodiversity Conservation (EPBC) Act, and a threatened species under the state Flora and Fauna Guarantee Act. The small possum, sometimes called the fairy possum, resides in the mature mixed age native wet sclerophyll forests of the Central highlands of Victoria. The possum requires mature and dead trees for holes for shelter and nesting, younger trees suitable as food, and continuous understory to travel through the treetops. Mountain Ash are the tallest flowering plants on earth, with mature trees reaching over 100 metres in height. They are also the world's most carbon-dense forests, that help to filter the drinking water for the City of Melbourne. The continued Logging of Victorian mountain ash forests increases bushfire risk, and causes landscape traps changing the ecosystems of a landscape irreversibly. After the 1939 bushfires Leadbeater's Possum was thought to be extinct, but in 1961 a colony near Marysville was discovered, and further numbers were verified throughout the central highlands. Nearly half of it's natural habitat was destroyed during the 2009 Black Saturday bushfires with the current population estimated in 2013 at around 1000 to 1500. "Models assessing the current and predicted abundance of Leadbeater's Possum indicated a massive decline in Leadbeater's Possum numbers between the present and the year 2020 due to a decline in tree hollows, followed by a population bottleneck lasting until the year 2075. This predicted 'bottleneck' means that for a period of 55 years, from the year 2020 to 2075, habitat suitable for Leadbeater's Possum, and by implication population size, will be at its lowest." Leadbeater's possum is just one of 40 other vertebrates dependant on tree hollows for homes in the mountain ash schlerophyll forests. Hollows that can take over 150 years to develop in a tall ash tree. But the destruction of Mountain Ash forests in the 2009 black Saturday bushfires did not cause a reassessment of logging practices or the amount of logging to be harvested from a dwindling amount of forest. Instead, the Victorian Government has recently relaxed the regulations for logging coupe surveys, fauna protection and logging by Forestry Victoria. A current bill before the Victorian Parliament has been heavily criticised by Lisa Caripis, a Research Fellow, Centre for Resources Energy and Environmental Law at University of Melbourne, in an article - Victorian law change abandons native forests to loggers - saying that "it will cast a shadow on the effective governance of Victoria's native forests, and have consequences for potentially decades to come." On May 16th this year VicForests announced reduced logging....to start from 2017. So another four years of ripping into high value Leadbeater's possum habitat for woodchips to make Reflex paper. The changes were given the green light in December 2011 when Agriculture and Food Security Minister National Party MP Peter Walsh released the Timber Industry Action Plan and announced the expansion of native forest logging and locking in to place much longer native forest logging contracts. David Lindenmayer has worked extensively in the forests of the Central Highlinds for 30 years. He has argued cogently in a December 2012 article - Sending Leadbeater's Possum down the road to extinction - that the current widespread clear-felling in Victoria's Mountain ash forests "loses large amounts of money for the state of Victoria, degrades the forest, erodes water catchment yields, increases fire risks, and is driving Leadbeater's Possum - the state's faunal emblem - to extinction." In an opinion/editorial article in the Age on 29 May 2013 - The gathering tragedy in our forests - Lindenmayer was equally severe saying Victorian forests were in a worse state than Tasmanian forests. "Victoria's forests are in a parlous state, in part because of poor decisions by successive governments to over-commit resources, particularly since the advent of widespread clearfelling in the 1970s." Although the finger is firmly being pointed at the forestry practices of the Victorian Government, the Federal Minister for Environment, Tony Burke, is equally culpable of not taking necessary Federal action to force Victoria to conserve Leadbetter's habitat under the EPBC Act for this species. At the moment he has sought advice from his scientific committee on whether to upgrade the status of Leadbeater's Possum to Critically Endangered. Listen to Greens Senator Richard Di Natalie speaking in the Senate in November 2012 for conservation action to save the forsets for Leadbeater's Possum. "The Victorian government has made deliberate policy changes that have had a negative impact on the possum," Lindenmayer told Guardian Australia. "This isn't some cryptic, unknown creature. We've studied this possum for 30 years. The government is ignoring its own evidence. "We need radical change in forestry management in the state. We need to get rid of clear felling like the US, Finland and Sweden has. Even Tasmania is ahead of Victoria on this." "We're at a stage where there are now more orangutans, rhinos and Siberian tigers than there are Leadbeater's possums, all through mismanagement. We're getting close to crunch time where something needs to be done or we will lose the species." Logging of central highlands forests provides hardwood woodchips for the Nippon owned Marysville pulp mill to make Reflex copy paper. Saw logs and woodchip from native forests are being sold of far too cheaply and unsustainably. Vicforests repeatedly fail to make a profit. The forests are worth far more for their long term biodiversity and carbon sink values. Instead we are subject to clearfelling operations and regrowth forests which are far more fire prone and burn at greater intensity. It takes at least 70 years before a regrowth forest becomes less fire prone. Healesville's My Environment is currently pursuing a Supreme Court Appeal against VicForests and the judgement last year. They are hoping to raise $45,000 for the legal costs involved in the appeal. Help Save Leadbeater's Possum have invited people along to the Supreme Court appeal on Monday 24 June 2013 10am – 3pm, at the Victorian Supreme Court of Appeal, 459 Lonsdale Street, Melbourne. If we are to continue to be graced with the presence of such a small signature species such as Leadbeater's possum, then logging practices in old native and regrowth forests in Victoria's central Highlands needs to be curtailed immediately to maintain suitable and sustainable habitat. Pulp and paper manufacturing needs to transfer to using recycled materials and plantation timber. Like in Queensland where changes to land clearing will lead to biodiversity loss, the continued logging of Victorian Central Highlands forests is a path of certain extinction to Leadbeater's Possum and possibly other species. It is way past time to stop the over-exploitation of native forests for short term profit by a few people at the expense of biodiversity and sustainable forest ecosystems and landscapes. Already we are seeing a biodiversity crisis with declines in many common species due to habitat loss and climate change. IN THE PAST, MOST LOSSES OF SPECIES HAVE BEEN THE RESULT OF ignorance or an unfortunate catastrophic event (1, 2). We now see a government in a developed nation taking calculated actions to drive an endangered species to extinction. To counter biodiversity loss, the most widely used strategy is to establish reserves. Hence, a system of protected areas was established in 2008 for Leadbeater's possum (Gymnobelideus leadbeateri)-- the faunal emblem of the Australian state of Victoria. This reserve system is based on a population viability analysis that uncovered the best strategy for costeffectively securing the species (3). The strategy consists of no-logging reserves embedded within government-owned forests that are otherwise primarily for wood production(4). 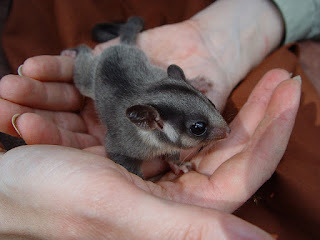 Yet in the past 2 years, government-sanctioned changes in legislation (5) and substantial watering down of protocols for habitat protection (6) have resulted in clearfell logging of those reserves (in which most of the trees are cut down) and destruction of known habitat for Leadbeater's possum. Clearfell logging renders the animal's forest habitat unsuitable for at least 150 years (4). Global analyses have revealed that the formal reserve systems of many developing countries are being degraded by logging, land clearing, mining, and other practices (7). A poor understanding of ecological and conservation requirements, together with management inaction, leads to species becoming threatened or extinct in such countries. These considerations provide no excuse in the case of Leadbeater's possum; the species has been the subject of more than 30 years of detailed research (4). Government-sanctioned legal logging of the reserve system will significantly increase the chance of extinction of Leadbeater's possum. To the best of our knowledge, and despite state and national threatened species legislation, this is the first time an Australian government has taken calculated actions to substantially reduce the viability of an IUCN-listed endangered species with full knowledge of the likely consequences. (1)ARC Centre of Excellence for Environmental Decisions, Fenner School of Environment and Society, The Australian National University, Canberra ACT 0200, Australia. (2)ARC Centre of Excellence for Environmental Decisions,The University of Queensland, Brisbane, QLD 4072, Australia. 1. M. Mangel, C. Tier, Ecology 75, 607 (1994). 2. G. C. Caughley, A. Gunn, Conservation Biology in Theory and Practice (Blackwell Science Cambridge, MA, 1996). 3. D. B. Lindenmayer, H. P. Possingham, Conserv. Biol. 10, 235 (1996). 4. D. B. Lindenmayer, Forest Pattern and Ecological Process: A Synthesis of 25 Years of Research (CSIRO Publishing, Melbourne, 2009). 5. Proposed Variation to the Code of Practice for Timber Production 2007 (Department of Sustainability and Environment, Victoria, Australia, 2011). 6. Survey Standards: Leadbeater's Possum Habitat Zones (Central Highlands Forest Management Plan) (Department of Sustainability and Environment, Victoria, Australia, 2013). 7. M. B. Mascia, S. Pailler, Conserv. Lett. 4, 9 (2011).